Sara Lee has launched a new commercial, “Candles”, following on in the same romance line as “Cinderella“, the 2008 commercial. Filmed in Rio de Janeiro in February 2010, the love story is set in a convenience store. A woman returns again and again to buy jars of Moccona Inspirations coffee. The ad finishes with a beautiful trip down cande lit lane. The Moccona Australia site, www.moccona.com.au, provides a downloadable copy of the ad along with wallpaper images. 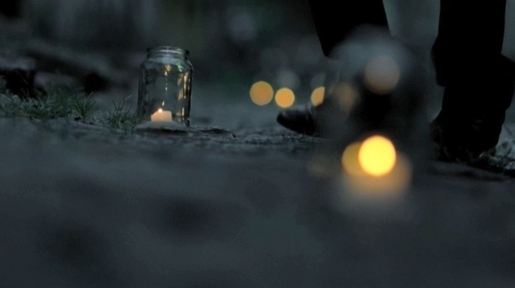 The Candles ad was developed at M&C Saatchi Sydney by executive creative director Ben Welsh, copywriter Lizzie O’Hara-Boyce, art director Jason Woelfl, agency producer Loren August and Rod James, account manager Renee Kastanias and senior account director Nathalie Brady. Filming was shot by director Ben Briand via Cherub Pictures with producer Serena Paull. Post production was done at Frame Set & Match. Editing was done at The Editors.